WASHINGTON (CNN) -- The FBI lost at least 10 laptop computers containing classified information during a four-year period ending in 2005, the Justice Department's inspector general has found. The 10 were among the 160 laptops lost or stolen during a 44-month period ending September 30, 2005, Inspector General Glenn Fine reported. An equal number of weapons also went missing. The report said the number of missing items, while still a problem, represents a sharp improvement over a 2002 audit, which found more than 300 laptops and 300 weapons lost or stolen during the previous 28-month period. Fine said that among the 10 missing laptops known to contain sensitive or classified information was one that had identifying information on FBI personnel. Several others may also contain sensitive counterintelligence or counterterrorism information, the report said. "Most troubling, we found that the FBI could not determine for 51 additional lost or stolen laptops whether they contained sensitive or classified information," the report said. "Seven of these 51 laptops were assigned to the counterintelligence or counterterrorism divisions." The report said the FBI maintains more than 50,000 weapons and more than 20,000 laptops in its inventory. In its response, the FBI agreed with several recommendations for maintaining tighter control on its weapons and laptops. "We acknowledge more needs to be done to ensure the proper handling of the loss and theft of weapons and laptops and the information maintained on them," said Assistant FBI Director John Miller. He stressed the "significant progress" the FBI has made on the issue since the initial report five years ago, and said the bureau takes issue with the inspector general's count of missing firearms, saying 43 of the unaccounted weapons had been reported missing prior to the time period covered by the report. But Miller vowed "to further increase the progress we have made in minimizing the loss of firearms and information technology components." On Capitol Hill, outspoken FBI critic Sen. Charles Grassley, R-Iowa, said, "Making progress may seem like a win for the FBI, but it's unacceptable when you're talking about lost weapons and computers with sensitive information". 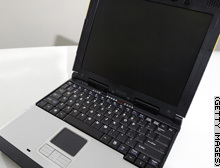 The FBI has more than 20,000 laptops in its inventory.